This article gives an overview of valuing businesses based on revenue, and when this process is best applied. Contact Nash Advisory for fair and accurate advice surrounding your business. A multiples approach determines the value of a business by looking at similar businesses, and using one or more financial metrics as the point of comparison. This approach can be likened to valuing a property by looking at recent sales of similar properties in the same area. Instead, a multiple based on revenue, sales, or customer and user numbers will provide a better reflection of value. Although a revenue multiple such as Enterprise Value/Revenue is a relatively straightforward valuation multiple, it should not be used blindly. It has the potential to deliver inflated valuations which can significantly overvalue a business. Revenue multiples do not take into account operating expenses incurred to generate the revenue. It also may not reflect the operating cash flows of the business if the business has a long debtor cycle or bad debts. Consider two sports apparel companies of similar size, Company Alpha and Company Bravo. Both companies are in the same industry and have the same total annual revenue. Company Bravo has created a premium brand and sells a more premium product than Company Alpha. Despite lower volume, Company Bravo is able to earn a higher margin and therefore higher EBITDA based on their position in the market. 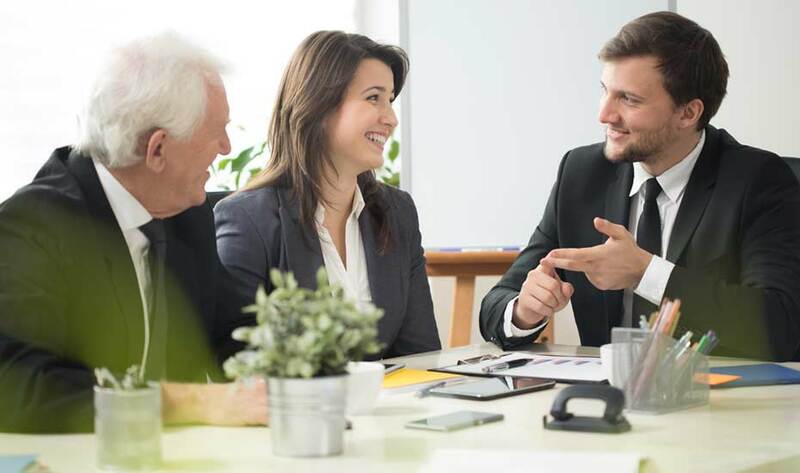 Taking an average of multiples from sufficiently comparable businesses, we can calculate a relative valuation of Company Alpha and Company Bravo. As the example shows, a general industry or industry segment revenue multiple can result in a valuation which does not accurately reflect the value of the business. 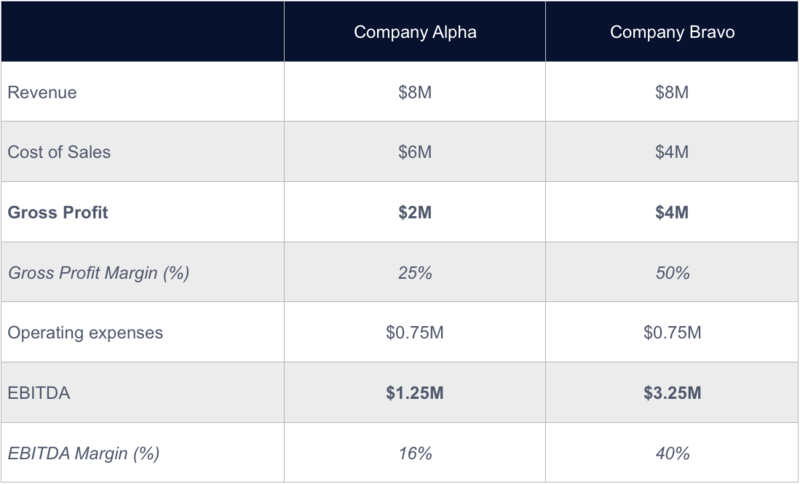 For Company Alpha, a lower margin business, the enterprise value calculated based on the revenue multiple is significantly higher than the enterprise value based on an EBITDA multiple. For Company Bravo, a higher margin business, it is the other way around. The enterprise value based on revenue is significantly lower than the enterprise value based on the EBITDA multiple. In the example, if a revenue multiple is used, the value of the low margin business will be overstated and the value of the high margin business will be understated. When should you use a revenue multiple? A revenue multiple is most suitable for valuing early stage businesses, especially if the business is at break-even or pre-EBITDA /profit. Many of these early stage businesses are reinvesting revenue cash flows back into the business in order to supercharge revenue growth. In particular, a revenue multiple is most suitable for early stage businesses which are generating or targeting annual recurring revenue. These multiples are useful for valuing Information Technology business, or consumer-based businesses with strong recurring subscription-based revenue. As long as the revenue multiple used is true, accurate and comparable for the business in question, a reasonable valuation can be achieved. As the diagram shows, early stage companies which are pre-profit or break-even will be difficult to value based on traditional earnings multiple such as EV/EBITDA. Instead, a revenue multiple can be used. However, as the business matures, a revenue multiple may no longer be reliable and an earnings multiple should be used. Revenue multiples are most suitable for early stage businesses with strong recurring revenue streams or consistent year on year revenue growth – this will often apply to information technology and consumer/user subscription businesses. When using a revenue multiple to value a more mature business with positive earnings, a revenue multiple can distort the valuation given that the operating margin of the business will greatly impact the accuracy of the valuation. Revenue multiple can overstate the value of a low margin business and understate the value of a high margin business. When it comes to valuing businesses, it's a science best left to the experts. Nash Advisory has a wealth of experience finding successful outcomes for clients in a range of diverse industries. If you're looking for an accurate valuing process, contact us today.